On the first day of class, I want to have students directly interact with a complex system, in a hands-on way, as they play and observe the systems' behavior. 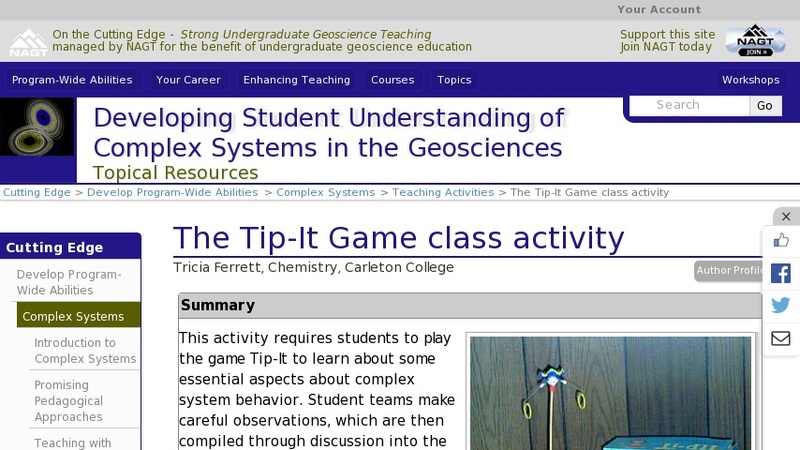 I ask students to play the Tip-It game in teams of 3-4. They record their observations, and I urge them to look for subtle features as they play one full cycle of the game - until the clown tips off his pedestal. Then I lead a full class discussion with the goal of constructing a class list of "the essential features of complex systems." This list is not judged at this point, but rather serves as a starting point and an anchor for refinement throughout the course.